Discovered by John Herschel in 1831. 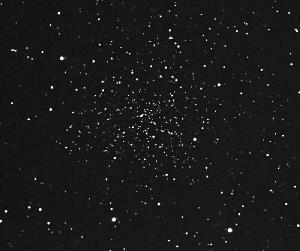 Open cluster NGC 188 in Cepheus is famous for being one of the oldest open star clusters in our Milky Way Galaxy. NGC 188 was discovered by John Herschel on November 3, 1831 and cataloged as h 34 in his 1833 catalog. 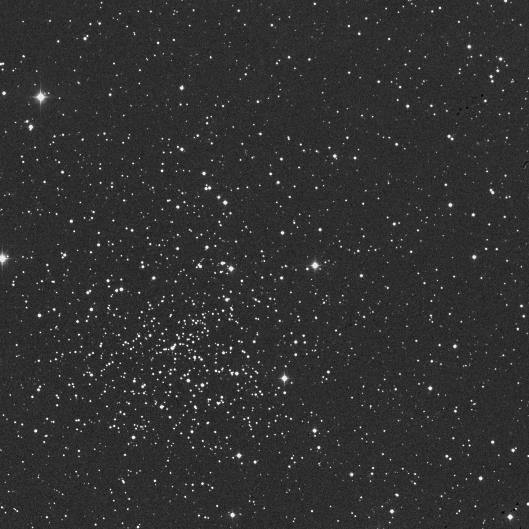 This object subsequently became GC 92 in his 1864 General Catalogue, and finally NGC 188 in J.L.E. 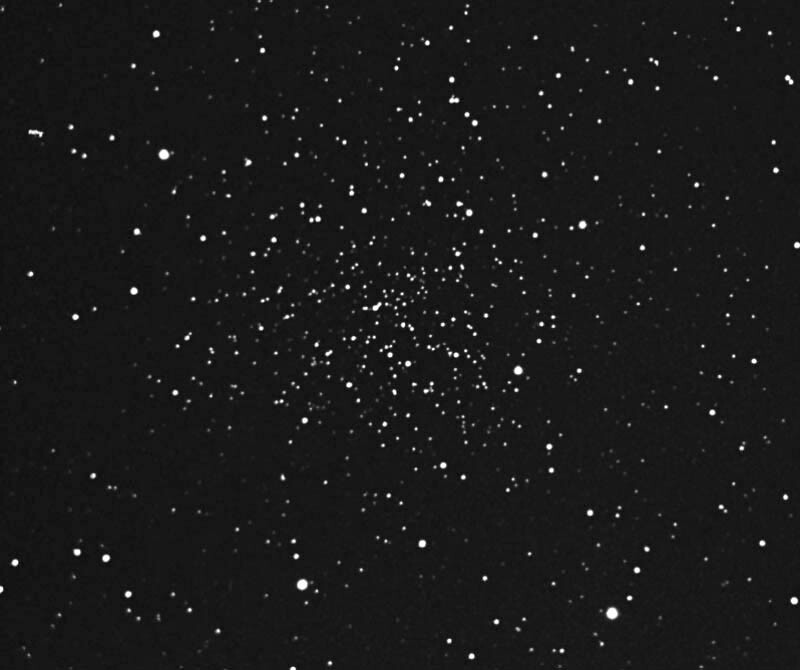 Dreyer's NGC of 1888. 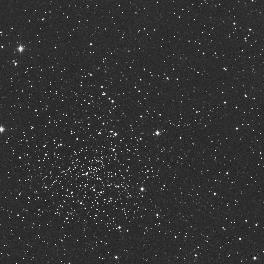 One of the oldest known open star cluster in our Galaxy, the age of NGC 1888 was calculated to be over 5 billion years; Alan Sandage's first estimate was even an age as high as 24 billion years, while Burnham claims 10-12 billion. It consists of about 120 stars, the hottest main sequence star of spectral type F2, the 10 brightest stars being yellow giants of spectral types G8 to K4 and luminosity class III, apparent magnitudes of about 12-14, corresponding to absolute magnitudes of 0 to +2. The image in this page was obtained by Martin C. Germano. Caldwell 1 in Patrick Moore's list, which is sorted by declination. As its Caldwell number indicates, NGC 188 is situated very close to the North celestial pole.